Awesome digital assistant to boost efficiency while working on your Mac. A perfect digital assistant you will love from day one. It is all about increasing efficiency and changing perceptions. Power Widget, an assistant on your Mac knows your requirements while you’re working on your Mac. 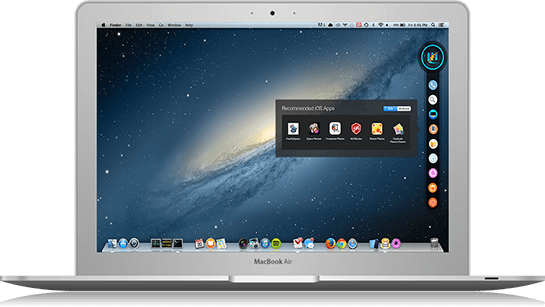 It provides quick access to all your digital needs and keeps you updated about the health of your Mac. At the time when your attention is required in all fields of life and work, Power Widget gives you time to organize and prioritize your work flow. 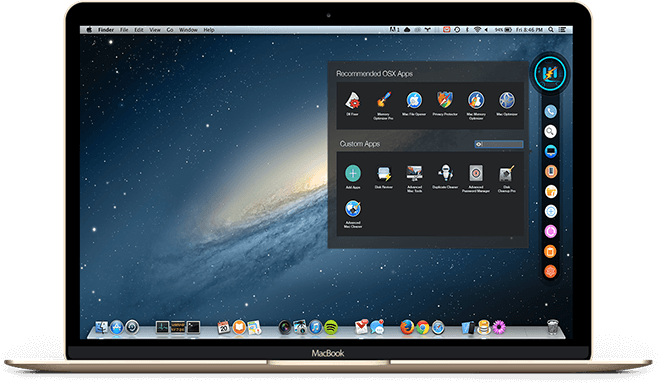 Power Widget is always ready to give you a delightful experience of having a great assistant while working on your Mac. Power Widget makes your experience of working on a Mac Awesome! A great Mechanic is the one who starts his work with all his tools. And Power Widget is everything you needed for your Mac. Provides one destination to launch all your apps from. Just drop apps which are frequently used into the rack and launch them at your convenience. Keeps all the latest iOS and Android Apps within your reach. Now install all popular iOS and Android Apps with a single click. Get complete information of file extensions along with applications required to view and work with them. Just type the name of the file extension to understand the functionality of these extensions and programs and applications needed to view or work with them. Place shortcuts of your files and folders which are required frequently. Helps you organize your work flow from a single window. Real time visualization of available disk space and memory will always remind you to optimize your Mac at the right time. This will always keep your Mac robust and healthy. Copied a new text and lost track of the previous one? Don’t worry. Power Widget lets you see all that you’ve recently copied so that you can see them whenever you want. One good thing changes the entire perception. With Power Widget, the efficiency bench mark starts moving up and you start enjoying the new created perception.